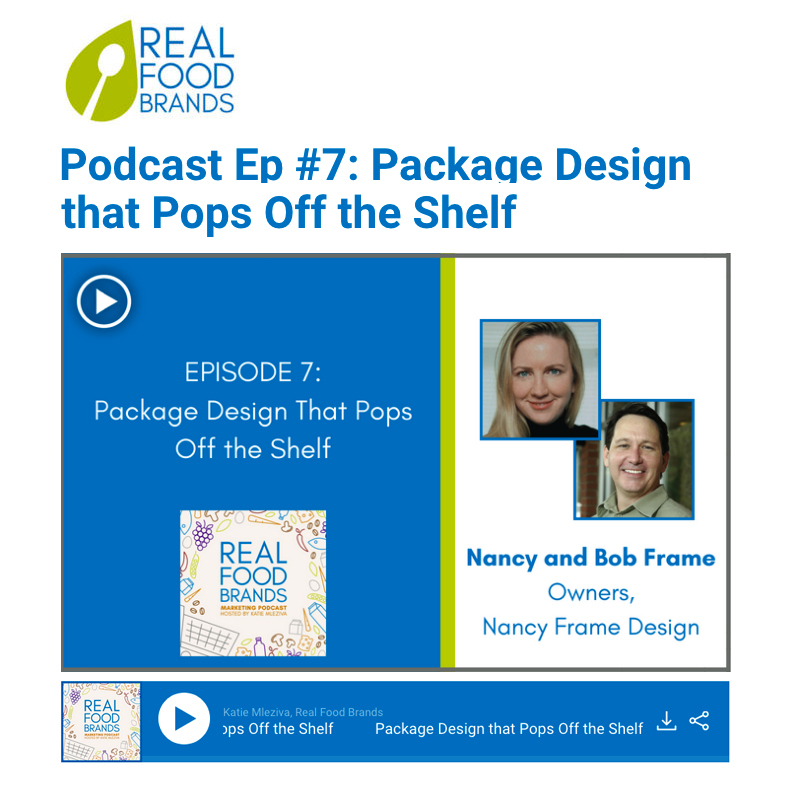 We had a lot of fun with Katie Mleziva, the Principal at Real Food Brands talking about the importance of package design in this podcast. After years of working in brand management at one of the largest food companies, Katie’s mission is to make a positive impact in our food system as a brand strategy consultant using her CPG background to bring proven branding and marketing principles to natural food companies who want to grow to be leaders in their categories, both in philosophy and growth. Katie also hosts the Real Foods Brands Marketing Roundtable group on Facebook.